Without a doubt, paper is the most common and preferred surface for artists to work on. Paper is relatively cheap as compared to the cost of what you put on it — inks, paints, charcoal, graphite or pastels – and the tools you use – pens, markers, and brushes. 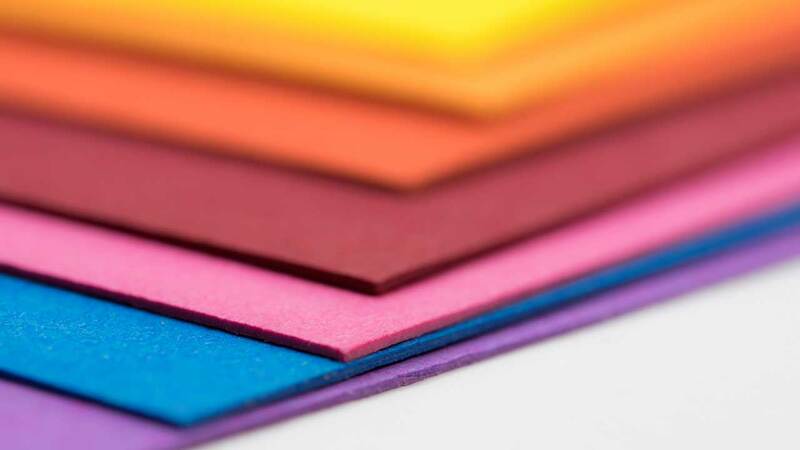 In the second part of our series, below are the other types of paper for arts and crafts. Whether simple paper art or complex artistry, the outcome will depend on your wise choice of paper for your arts and crafts. As implied by its name, drawing paper is ideal for sketching and suitable for all types of drawing techniques, both wet and dry. Usually comes in white, its material is made from cellulose fibers derived from wood, rags, or grasses. They are usually sold in pads and spiral-bounded. When choosing drawing papers based on techniques, it is important to consider its surface or its “tooth.” If finer details using pen or ink are to be used, choose hot-press drawing papers. Not only used under the copying machine, copy papers also make ideal materials for crafts because they are readily available. Contrary to the perception that this paper is only white in color, there are a variety of shades that can be used for arts. In addition, copy paper is sturdy enough for cutouts, folding, and quilling. With its shiny surface and bright colors, glossy paper is a favorite material among school children. Aside from school art, this coated paper is used for brochures, photographic printing, flyers, and for direct marketing. There are two types of glossy paper: photo-gloss (mirror-like shine) and soft-gloss (magazine-like sheen). Although not really meant for the bathroom, colored tissue paper is a type of material for papier mache, collage, gift wrapping, and paper flowers. The rainbow-colored materials sometimes have prints which will add to your arts and crafts’ cutesy appearance. So, the next time you will feel the call of nature, better use the uncolored tissue and the reserve the colored ones for art. Usually suitable for signage, window displays, and hobby crafts, fluorescent papers come in a variety of bright and candy colors. They’re also the favorite paper used for origami and making cutouts of cartoon characters. In fact, any craft ideas which require bright colors as the base material may use this kind of paper. As per tradition, the ideal surface for paintings is canvas. Since it’s the best material, stretched canvas is lightweight, portable, and relatively inexpensive. It’s made from cotton or linen which makes this medium stronger for wet painting techniques. Although linen canvas is more expensive than its cotton counterpart, it’s more resistant to tearing and wrinkles. The material is available in a variety of widths and weights. A type of paper or paperboard made from chemical pulp and manufactured under the process, kraft paper is designed for high elasticity and high tear resistance. It’s ideal for packaging products requiring strength and durability. In arts and crafts, it’s ideal for gift wrapping, paper flower bouquets, and paper puppets. When it comes to making simple art, there’s no harm in experimenting and trying out varieties to suit your purpose. After all, no single paper type can brag that they are the best to use for expressing your creativity.